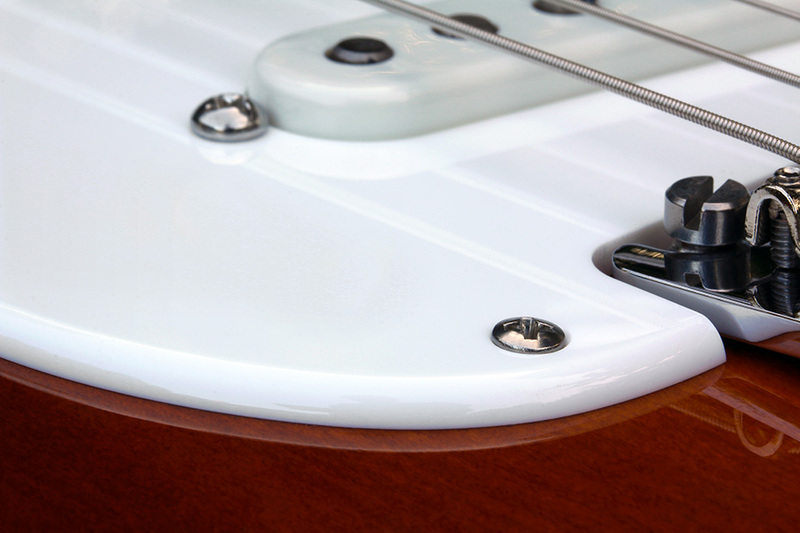 Close-up detail of the rounded and polished edge of our White 1 Ply 0.120" Acrylic pickguard. 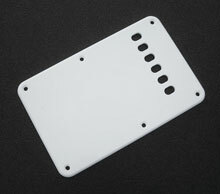 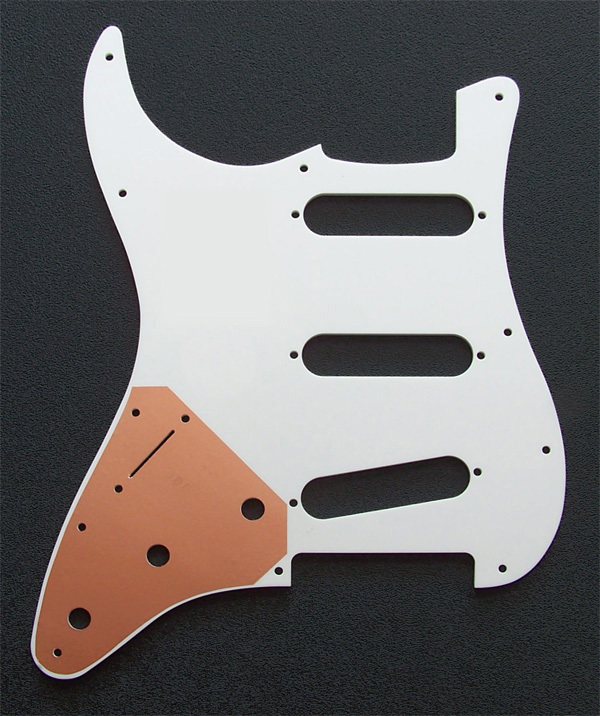 Complete guitar shown for illustration purposes only, this purchase item is for the white Acrylic pickguard only. 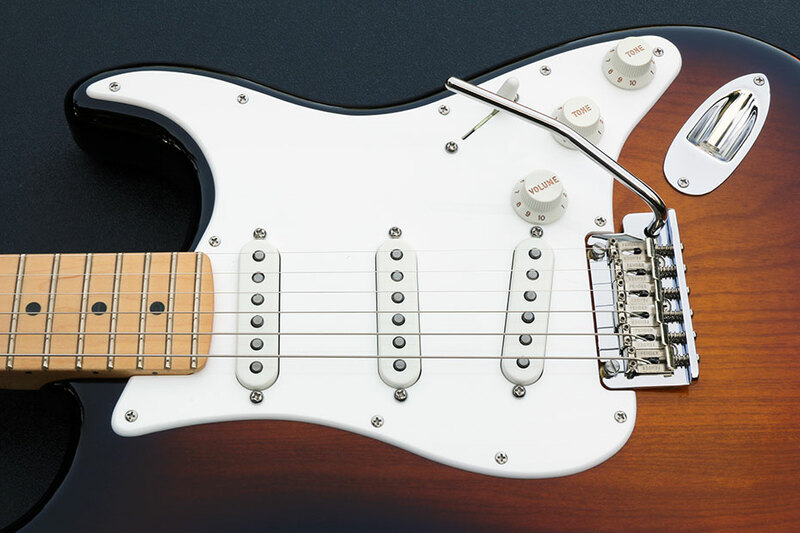 Our White 1 Ply 0.120" Acrylic Pickguard with the Rounded and Polished Edge installed in a two-tone burst Strat®. 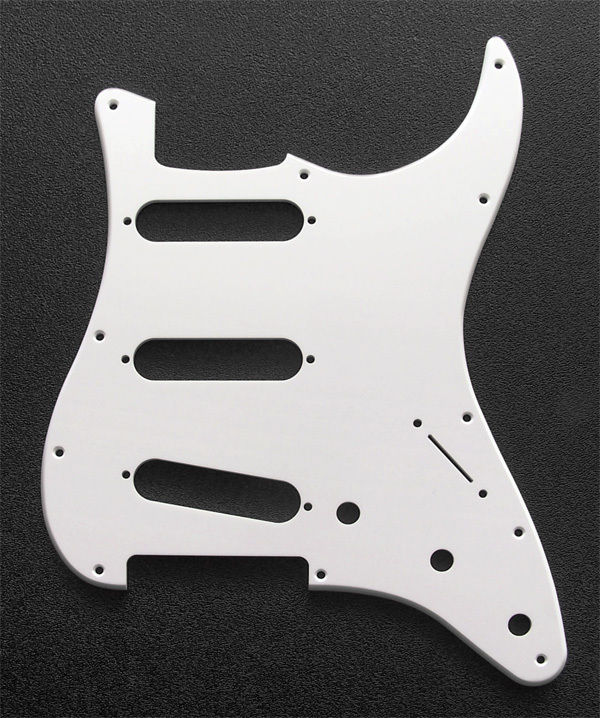 Complete guitar shown for illustration purposes only, this purchase item is for the white Acrylic pickguard only.